The event needs to involve the whole church – not just some of the Church – but the whole Church! 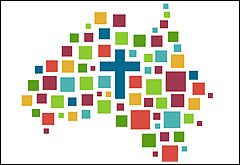 The Plenary Council is a gathering of the whole Church, under the influence of the Holy Spirit, gathered together to make decisions about how the Church in Australia will chart it’s course forward into the future. So the whole Church of Australia is on a journey – trying to listen to the Holy Spirit to see what the Spirit is saying to us about the future. The journey has begun already and is well into the first of three phases – Preparation. The following two phases are Celebration and Implementation.